It's almost Easter and the Pee Wee Scouts are dyeing their eggs. Blue. Green. Pink. Purple. The big Easter egg hunt is coming up. Mrs. Peters, the troop leader, will give out a prize to the Pee Wee who finds the most eggs. A stuffed bunny. Mrs. Peters will give badgets too. For fire safety. The Pee Wees learn all about it. Molly Duff wants to earn that badge. Rachel Meyer wants to win that prize. But something sticky gets Sonny Betz mad, so watch out. 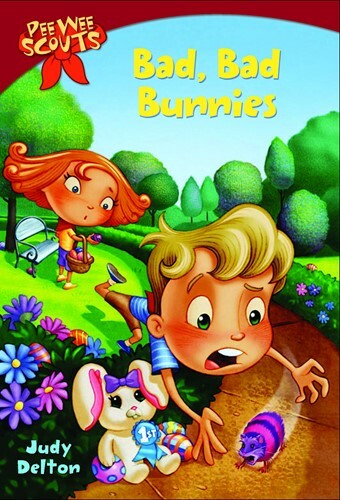 Because when Pee Wees are bad bunnies, Easter eggs go flying!